The post Shots fired! 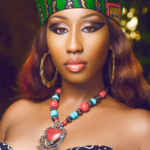 Victoria Kimani up against Tiwa Savage in viral ´Fvck You´ diss cover appeared first on Ghafla! Kenya.